The least apparent and the most important part in any painting or photograph is its background. Dubond provides the perfect background for walls - be it in office or at your home. Paint away to glory and rest assured that Dubond will make it stick and stand out too. Dubond promises you the perfect finish to interior decoration of all types. Be it corporate or home sweet home, Dubond is comfortable everywhere. Silently it works. Almost invisibly it creates the right backdrop that will help each drop of paint stand out with a character of its own. Wall Putty is a white cement-based fine powder. It serves as filler/ leveler for walls and ceilings. It provides a waterproof surface with excellent smoothness, good adhesion, good breathing properties, and seals porosity for uniform deposition of finished paint and enhances durability. It is a water resistant white cement based putty ideal for use on concrete/mortar walls (internal and external) and ceilings. It fills the fine pores of mortar/concrete walls and ceilings and provides a white, smooth and dry surface, essential for painting. It helps you combine the suave look with beauty for interiors and exteriors. No need to apply any kind of primer on it before application of paint or distemper. It prevents the growth of algae and fungi on walls.prime putty can be applied even on moist surface (internal/external). It has more adhesive strength, durability and enhances the life of paints. Being white cement based, does not require water curing. 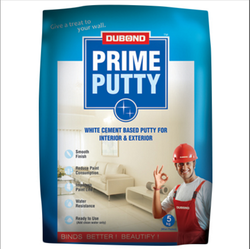 Dubond's Prime Putty is a white cement based fine powder. It serves as filler/leveller for walls and ceilings. It provides a waterproof surface with excellent smoothness, good adhesion, good breathing properties and seals porosity for uniform deposition of finished paint and enhances durability. It helps you combine suave look with beauty for interiors and exteriors. 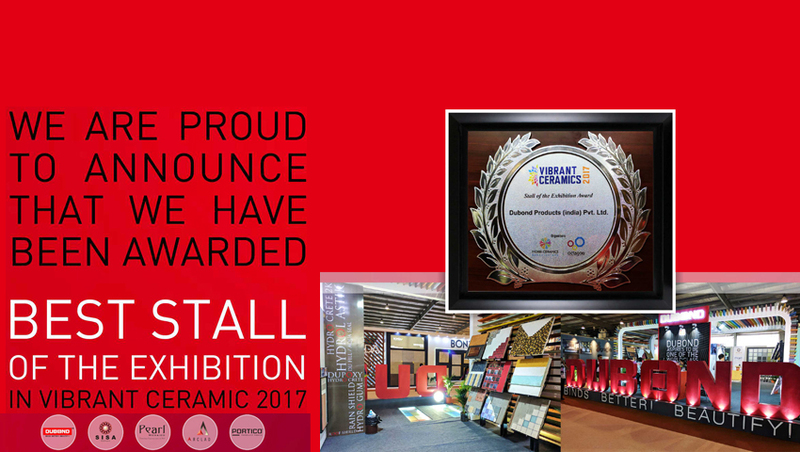 It can be used any type of surface like concrete, rendered wall, hollow block, precast walls, concrete ceilings, calcium silicate bricks, etc. no need to apply any kind of primer on it before application of paint or distemper. It prevents the growth of algae and fungi on walls. You don't require to mix pigment/stainer in Dubond Prime Putty. Quality of painted surface is directly proportional to quality of unpainted surface. 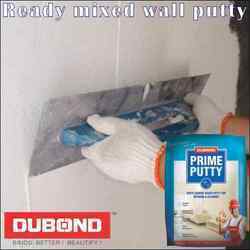 Dubond Prime Putty gifts the ideal conditions necessary for a good paint job. The unpainted surface is just right for paint application after the use of Dubond Prime Putty. Paint can be applied on Dubond Prime Putty with or without the use of primer. Use of primer shall lend cost advantage in case of expensive paints. 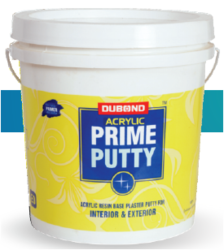 Dubond Prime Putty leaves a lustrous white and smooth surface which can also be left unpainted. Life of Dubond Prime Putty is as long as the life of grey cement plaster underneath. It prevents growth of algae and fungus on walls. Any kind of distemper can be applied on it directly. Textured finish can be obtained by use of texturing tools. As prevalent in case of other non-cement putties, primer application is not recommended before applying Dubond Prime Putty. This saves cost. We are the manufacturer of the Wall Care Putty . Packaging 1 kg., 5 kg and 20 kg packs. Safety Use gloves. Non toxic.